Sameer is a Mechanical Engineer by trade with an MBA from Sydney University. Sameer has extensive experience in management and leadership roles in various countries through several industries. Sameer possesses a good knowledge and understanding of International trade through his work experience in Middle East, Fiji, India, Australia and New Zealand. Sameer has worked in the refrigeration & air-conditioning industry in NZ for the past 22 years. In his last role Sameer was the MD for Beijer Ref AustralAsia. In this role Sameer’s responsibilities included managing six businesses in four countries; Patton & Realcold businesses in NZ, Patton Refrigeration in India, Patton Aero in Thailand and merger of Patton Australia and Realcold Australia into Beijer Ref Australia. This included 40 trade outlets, 6 factories and 300 staff in 4 countries. 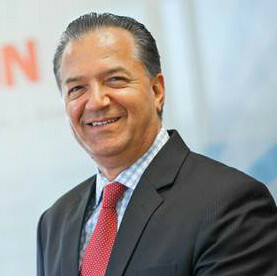 Currently, Sameer still holds board positions in Patton NZ Ltd, Realcold NZ Ltd & Patton Refrigeration India Pvt Ltd.